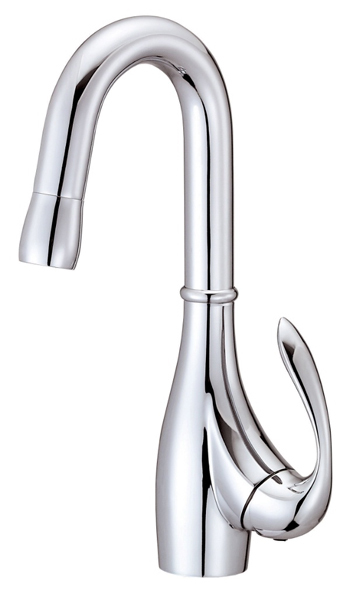 Danze Bellefleur kitchen faucets are available in Chrome or Stainless Steel finishes. The spray offers an easy twist control to change function and has a spring retraction system. 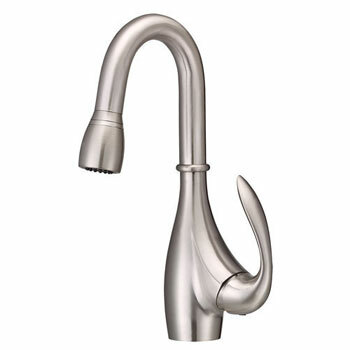 As an alternative to the pull-down options, a conventional high arcing kitchen faucet is offered with a sculpted, matching vegetable spray. 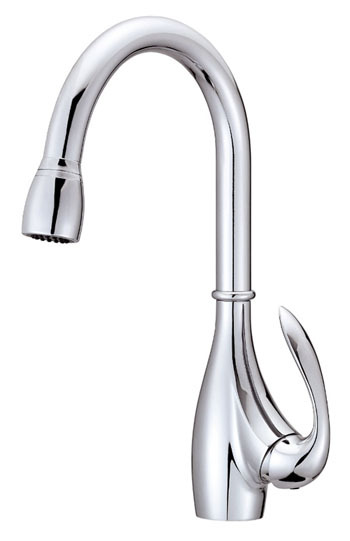 A similar style is available as a complimentary convenience faucet.